3 Bedroom, 2 bath home on 2.25 acres and is being sold with an adjoining 5.02 acres totaling 7.26 acres. 3 Bedroom, 2 bath home on 2.25 acres and is being sold with an adjoining 5.02 acres totaling 7.26 acres. Large fenced yard, stocked pond and RV pad with electric service. Close to post, handicap access. With a remote open entrance in garage & front door. All brick veneer exterior. Priced to sell, check it out and make an offer! Beautiful 3 bedroom & 2 bath, approximately 1200sq ft living space. Beautiful 3 bedroom & 2 bath, approximately 1200sq ft living space. The kitchen/dining room has all new cabinetry, back splash & stainless steel appliances. All plumbing & electrical along w/ fixtures have been updated. All the walls have new knock down texture & paint! Master has a coffer ceiling, 3 closets & large bathroom w/ double sink & plenty of storage space w/ a stand up shower. The living room is open w/ a beautiful corner fireplace & hand crafted custom oak hearth that matches the rest of the wood work within the home. The fireplace is propane heated. This is a complete interior remodel started & finished in 2018. Along w/ a new metal roof & a new back deck. The property has 3 out of 4 sides fenced, the back yard is large & open. The new back deck is a great place for entertaining for your family to enjoy playing outside. The home is heated & cooled w/ Central AC w/ heat pump & electric back up. Bedrooms have new padding & carpet, rest of home has brand new Pergo hardwood. 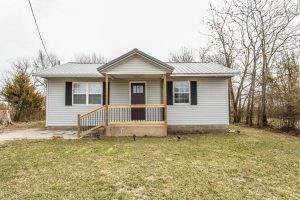 This unique 3 bedroom, 2 bath home won't last long. 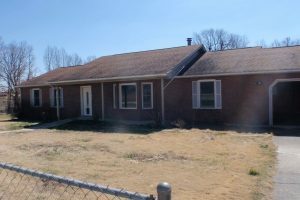 It features a large yard, covered porch, deck, large 2 car garage. Inside you will find a beautiful wood burning fireplace and an open loft. The home has that country feel without being to far out. A must see! Make your appointment today!! Amazing business opportunity is here! Amazing business opportunity is here! 5500 SqFt. Gas station/Building located at the corner of 7 hwy & E Rd, Montreal on 1.7 Acres. Building offers 2 half baths and 1 full bath with walk in shower, large kitchen with stainless steel cook & prep area, 8 ft hood, char broil grill, flat top grill oven, fryer and ice machine. 245 sqft dry storage area, walk in cooler. Mechanic shop offers roll up doors and car lift with extra storage. 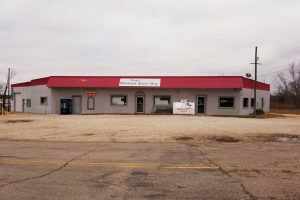 Building has multiple uses, even the opportunity to live in the flat or rent it out to a business. metal building behind offer extra storage. Some equipment and inventory are included. WOW, check out this 4 bed 3 bath home minutes for the front gates of Ft Leonard Wood. 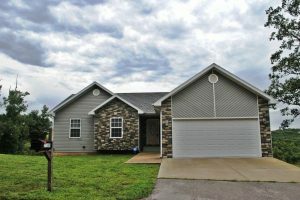 WOW, check out this 4 bed 3 bath home minutes for the front gates of Ft Leonard Wood. Walk in to find a cozy, family friendly design. Living room features, vaulted ceilings, neutral colors and looks on to the kitchen and dining area. Kitchen features ample counter space, cabinet pantry, and easy hard surface flooring. Enjoy the basement living space, extra bonus area, bathroom with shower, and 4th bedroom. Spend your evenings entertaining on the back deck, with fantastic valley views. This home won't last, come see it today! Welcome to Pulaski County Missouri and the Fort Leonard Wood area! Pulaski County is one of the most beautiful areas of Missouri. With its rolling hills, abundant waterways, lush green foliage, caves, wildlife, and ever changing seasons – there is always something to enjoy outdoors. Our team at Cross Creek Realty is excited to welcome you. Pulaski County Missouri is the Home of Fort Leonard Wood and the US Army U- Maneuver in excellence Support Center (CMSCOE) formerly (MANSCEN). Fort Leonard Wood is responsible for the training of all chemical, engineer, military police, and transportation soldiers, Marines, Airmen, Sailors, and International students from Allied Nations. Pulaski County is also home to the city of Waynesville (the county seat, and Cross Creek Realty’s home), St Robert, Richland , Crocker, Dixon, and Laquey. We hope you’ll find our site to be a one-stop resource that will meet all your Ft Leonard Wood housing needs. 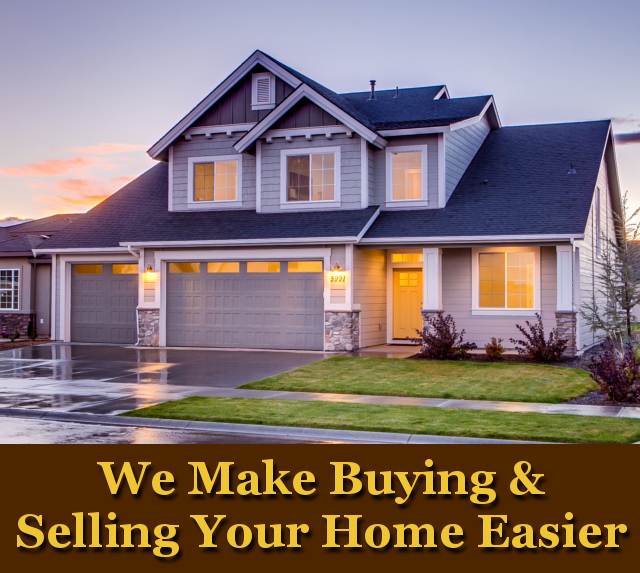 Pulaski County’s Fort Leonard Wood Real Estate Specialists. The Cross Creek Realty team has over 100 years of combined real estate experience serving Pulaski County. We specialize in Fort Leonard Wood military housing. Between our agents who have retired from the services, along with military licensed spouses, we have a total of 200+ years of military relocation experience. We feel we are able to understand what you may be experiencing and strive to make your transition to our area as smooth as possible. We value honesty, integrity, loyalty, professionalism, excellence, and teamwork in all we do. 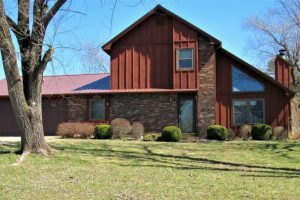 Please take a few minutes to browse our listings and see which Ft Leonard Wood homes are available.